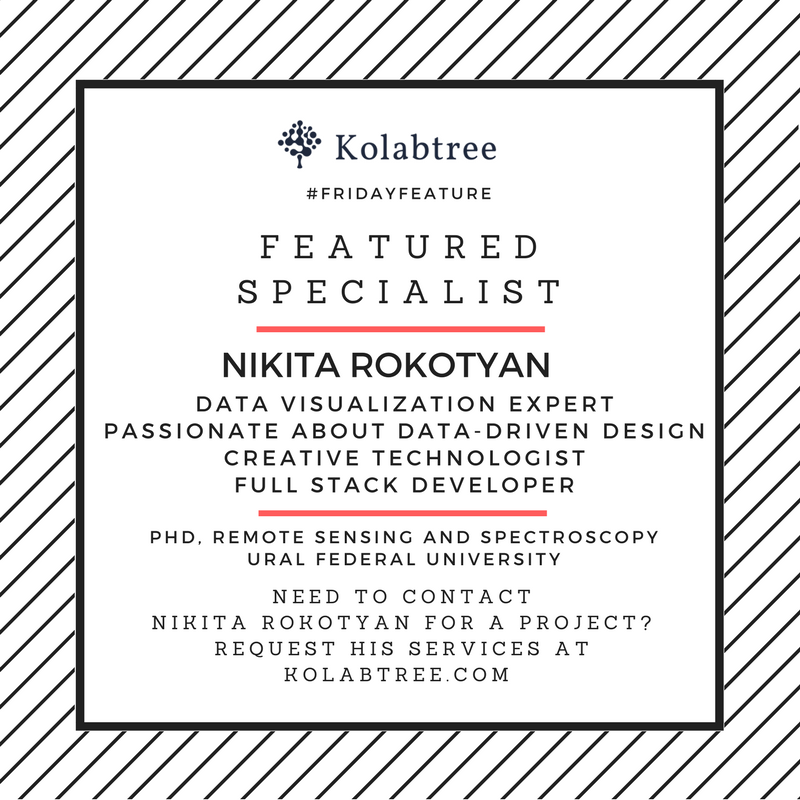 Dr. Nikita Rokotyan is a data visualization expert, a creative technologist, an artist, and a problem-solver. He is passionate about using data-driven design to discover hidden information in data,. He combines programming and art to change the way we interact with and learn from data. Rokotyan is an invited researcher at the Atmospheric and Ocean Research Institute, University of Tokyo, and has a PhD in Remote Sensing and Spectroscopy from Ural Federal University. He is available on Kolabtree for freelance projects here, and you can check out his stunning website here.